Max & Murphy: What Are the Prospects for Bail Reform in 2019? 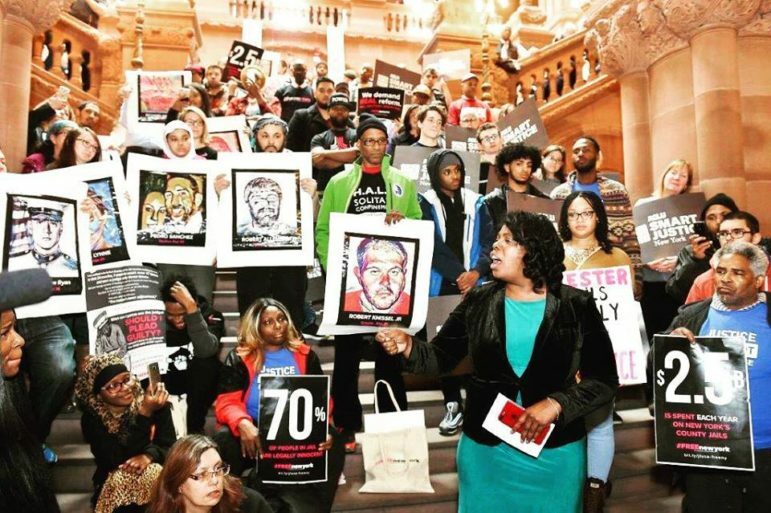 Assemblywoman Latrice Walker at a recent bail-reform rally. The sponsor of an Assembly measure that would sharply constrain the use of financial bail says she is optimistic her proposal will become law now that Democrats control the State Senate. 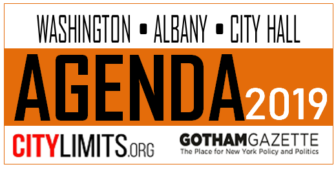 But the devil will be in the details, and in the fate of a broader slate of criminal justice reform proposals, Assemblymember Latrice Walker told WBAI’s Max & Murphy Show on Wednesday. Walker, who represents Ocean Hill-Brownsville, is the author of a bill that would sharply restrict the use of cash bail in New York State. While most people arrested in New York and awaiting trial are released on their own recognizance, courts impose cash bail in a significant number of cases, ostensibly to ensure that those defendants show up for court (rather than forfeiting the bail money). In practice, many low-income defendants facing misdemeanor charges and under relatively low bail end up lingering in jail before trial, often for a few days but sometimes for much longer. Even a short jail stint can severely disrupt work, school and child care. Advocates say it’s wasteful for the city to spend tens of thousands of dollars holding people who have yet to be convicted of the charges against them–most people on Rikers are pre-trial detainees–and argue it is unfair to use a financial test to decide whether a person can stay out of jail pending trial. Defendants at liberty during their case generally have more success contesting the charges against them. Walker told Max & Murphy that her bill tries to split the difference between those concerned about bail reform unintentionally leading to indiscriminate use of electronic monitoring and others who worry that ending bail will harm public safety. The proposal aims to achieve this balance by reducing but not eliminating cash bail and carving out some offenses for stricter pre-trial treatment than others. When her bill passed the Assembly last year, advocates hailed it. But the vote was 87 for and 57 against in a body where Democrats held a 103-41 advantage–meaning a significant number of members of Walker’s own party opposed the bill. There are at least two other bail-reform proposals in the mix: a measure sponsored by Assemblymember Daniel O’Donnell and Sen. Michael Gianaris and another authored by Assemblymember Dan Quart and Sen. Jose Serrano, Jr. Both those measures would eliminate cash bail altogether. Neither came up for a vote in the 2017-2018 session. Walker’s bill did not have a Senate counterpart. As Walker notes, bail reform is one of several criminal-justice reform issues likely to come up in Albany next year. Efforts to firm up speedy trial rules and to eliminate flaws in the state’s discovery laws are also on the table, and all those elements are connected: If trials moved faster, pre-trial detention would be shorter in all cases and if discovery operated more efficiently, it would equip defense lawyers to argue for more lenient pre-trial detention. The interview with Walker is immediately below, followed by the audio from the full program, which includes an interview of incoming State Senate Majority Leader Andrea-Stewart Cousins about the Democrats’ broader agenda. There kids have to look at their electronic monitoring and that is offensive? Is it not offensive for their kids to be around or a witness to their lives of crime? 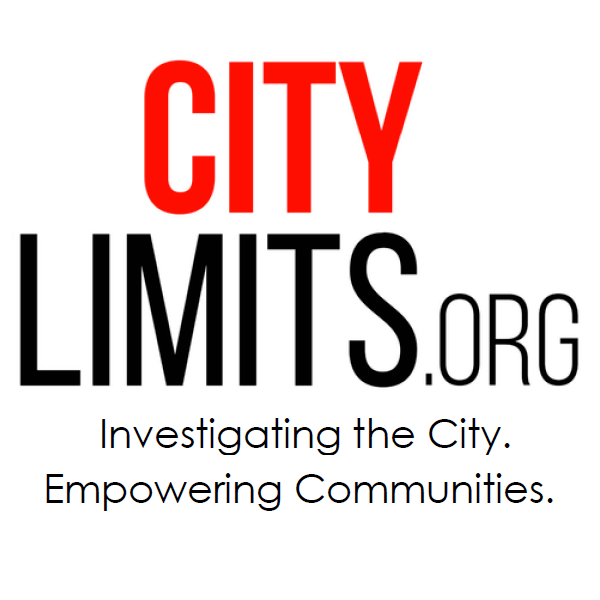 Your city will have Chicago’s crime rates within 30 days of the passage of this bill. The launch of the seven-month public review process starts the clock toward the likely rezoning of 14 blocks along the Bay Street corridor. The leader of Senate Democrats, who will enjoy a solid majority come January, says she has avoided getting into specifics about what the conference will accomplish in its first months in power.